Holders of foreign passports with the valid Schengen visa, visa of the Great Britain, as well as the visas of other countries members of European Union, or with the valid visa of USA, can travel to the Republic of Serbia without a visa, and stay in Serbia 90 days in the period of 6 months. Furthermore, holders of foreign passports who have residence permit in the countries of Schengen zone, countries members of European Union, or USA can travel in the Republic of Serbia without a visa, and stay in Serbia 90 days in the period of 6 months. This regulation shall enter into force on 8 November 2014. The regulation is not valid for holders of foreign travel documents or passports issued in accordance with international conventions. For the first time in its 150 years long tradition, National Theater ensemble was guest of National Theater of Shanghai, in P.R. 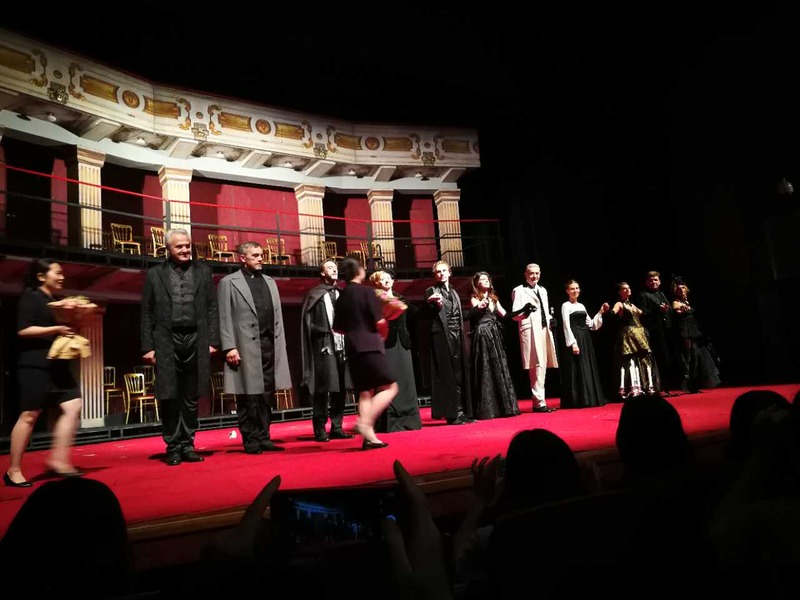 China, with it's renowned performance "The Lady of the Camellias", Alexandre Dumas, fils, in adaptation of Željko Hubača, directed by Jug Radivojević. 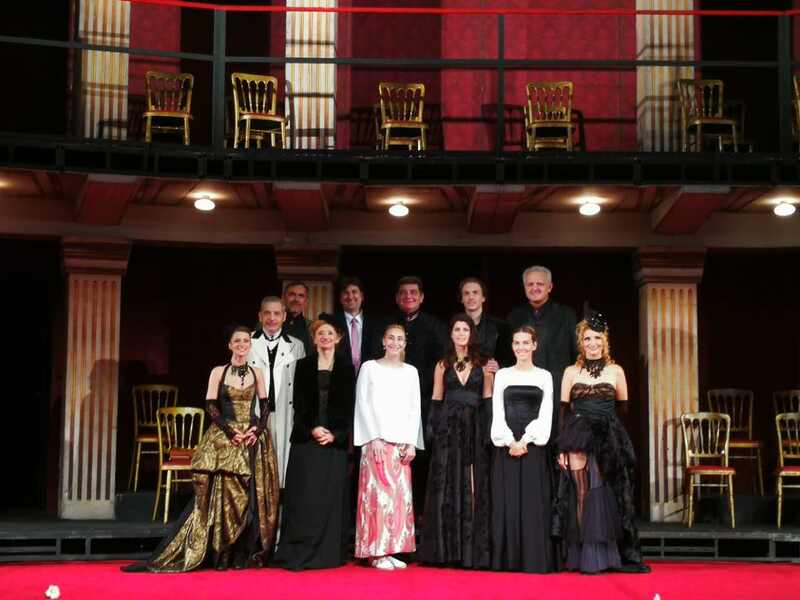 Ensemble performed the play two times in Shanghai, from July 11. until July 16. 2017. Thank you all for this wonderful happening! To begin with, I would like to thank Minister Makei and Secretary General of the Central European Initiative, Ambassador di Vietri for the exquisite hospitality and exceptional organization of this Annual Meeting of the CEI Ministers for Foreign Affairs. It is my pleasure to have the opportunity today to participate in the exchange of views on connectivity in the wider region of Europe, the current situation following the major migratory movements, the rising security threat to, and reform of, the CEI, as a bridge connecting the macro-regions of Europe. For a long time now, and in the last five years in particular, the Republic of Serbia, when prioritizing, has not distinguished between its goals of internal reforms, European integration or regional cooperation. Through various connectivity projects and forms, Serbia has been working on the widest possible infrastructural interconnectivity of this part of Europe, with the aim of being able to represent a valid, recognizable and competitive region, both regarding roads of all types and energy independence. "The Connectivity Agenda", established in the WB6 format within the framework of the Berlin Process, is of particular importance to us. You are aware of Serbia's priorities in this regard, considering that we have presented them repeatedly at various events. I would only like to mention one, which is the construction of Nis-Merdare-Pristina-Tirana-Durres motorway. Our expectations from the incoming WB Summit in Trieste also include the allocation of additional funding for the implementation of three concrete projects amounting to over EUR 60 million, which we presented to the EC as a priority. At the most recent China- CEEC (Central and Eastern European Countries) Leaders' Meeting, an agreement was signed on the modernization of the existing railway and construction of high-speed railway connecting Belgrade and Budapest, to run the first transport service of this kind in the region. The seat of the South East Europe Transport Observatory (SEETO) has for more than 10 years successfully operated in Belgrade, and which should, naturally, be transformed into the seat of the future Transport Community Secretariat and, taking into account all the advantages of its location, Serbia has already submitted its candidature for the seat to the EC. This would ensure the continuation of the existing institutional cooperation and its structure. In parallel with all of the above, Serbia is actively participating in the Trans-Balkan Electricity Corridor project amounting to EUR 162 million, the completion of which would ensure interconnections of power transmission systems between Serbia and Romania as well as between Serbia, Montenegro and Bosnia and Herzegovina, and also upgrade to high-capacity transmission lines within the Serbian power grid. These projects will considerably strengthen the energy exchange and energy security in the region. Furthermore, preparations are also underway for the works on the Serbia-Bulgaria gas interconnection, and our side urges that a final decision on the funding of this project be made as soon as possible. Through all these projects, Serbia is showing readiness to connect with its neighbours, the wider region and the rest of Europe. In addition to our common challenge of a stronger connectivity in the wider CEI region, the migrant crisis remains a particular challenge facing all of us. Despite the fact that over 1.4 million migrants transited the territory of Serbia in the past two years and that there are over 7 thousand of them staying there at the moment, the stability has been maintained thanks to extraordinary efforts, there have been no major threats to stability, and Serbia's treatment of migrants has throughout been in full accordance with international norms and standards. It is of crucial importance to us that the implementation of the EU-Turkey agreement not be suspended, so as to increase the level of mutual cooperation, both at the identified migration routes and in the wider Europe region, with the aim of overcoming this problem. Considering that Serbia has been in the least favourable situation, having in its territory a considerably larger number of migrants compared to other Western Balkan countries, we believe that the largest portion of the funds earmarked within the new special measure should be granted to Serbia, particularly in the context of an, at times, unequal treatment of the countries facing this problem, depending on whether they are EU Member States or not. My country is strongly committed to addressing potential terrorist threats and all forms of violent extremism and to, in cooperation with partners worldwide, contribute to their elimination at regional, European and global levels. Even though we were among the first in the region to warn of this problem, both in the context of Islamic radicalization and the domino effect of the so-called Arab Spring, sadly it is only today that the hazards of all manifestations of radicalism and the use of force in international relations, regardless of motivation, perpetrators and originators, are fully understood. Serbia is one of the twenty-five members of the United Nations Group of Governmental Experts tasked with ICT development in the context of international security, and as the only member state from the CEI region it has been visible in the efforts aimed at finding global solutions for building confidence among states and for establishing international rules, norms and a code of conduct. Serbia has devoted due attention to aligning itself with the EU's Global Strategy on Foreign and Security Policy, whose priorities include cybersecurity. We can say that CEI is a "bridge" between the European Union Member States, on the one hand, and candidate and aspirant countries that have not yet joined the EU, on the other. Serbia considers extremely important its membership of this regional initiative, providing a framework for enhancing regional cooperation and accelerated European integration, particularly in the light of EU accession negotiations. In this respect, we consider exceptionally important the support of those EU Member States that are our CEI partner countries. As one of the oldest regional initiatives in the continent of Europe, currently bringing together 18 states, CEI is a regional initiative whose experience and reputation can produce a significant added value in the process of connecting European macro regions. Therefore, I am pleased to note that significant efforts have been made to that effect. Irrespective of other formats and organizations, CEI has retained its relevance which will be, I strongly believe, only affirmed through the revision of documents and the adoption of a new Plan of Action. Locally, Serbia and its institutions, universities and civil society have fully recognized the capacity of funds and CEI invitations for cooperation, as reflected in a large response to the CEI Cooperation Fund's Call for Proposals 2017. I believe that, in the period ahead, it will be necessary to make additional efforts to expand its range of activities, and ensure CEI's greater visibility as a high-level forum for discussions on political and sectoral economic issues. Therefore, I look forward to deepening cooperation between the organization and other regional and global actors, similar to what has already been established with the UN and the EU. A good example of the foregoing is the announced strengthening of cooperation with the OSCE, and the joint projects which we support, as a country aware of the importance of the organization's field presence. We further believe that by augmenting funds and, possibly, individual contributions such as those that we, too, made in 2014, will enable the necessary strengthening of the CEI Fund for joint projects. Serbia has recognized the need for modifying internal CEI regulations, and supports the endeavours to reinforce sectoral interaction within the CEI framework through additional ministerial meetings, whose themes would deal with connecting the wider region in the areas of transport, customs, energy, and others that are deemed necessary. Serbia also has a clear interest in intensifying cooperation through inter-parliamentary fora. It has supported the work of the Group of Experts for Guidelines review, and we hope that the results will follow shortly. In conclusion, I would like to commend the efforts made by the Republic of Belarus as country currently holding the CEI Presidency, expressing at the same time my best wishes for chairing the regional initiative, in the period to come. 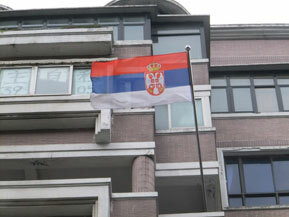 The Republic of Serbia signed the Stabilization and Association Agreement (SAA) with the European Union on 29 April 2008, and the SAA came into force on 1 September 2013. By means of this Agreement, the Republic of Serbia and the European Union have entered for the first time a stage of relations regulated by an all-embracing agreement, whereby Serbian EU membership prospects have been reaffirmed. The Republic of Serbia applied for EU membership on 22 December 2009. The European Council passed a decision to grant Serbia the candidate status for EU membership on 1 March 2012, while on 28 June 2013 it decided to open the accession negotiations with the Republic of Serbia. The Common Position of the European Union (EU) on the accession negotiations with the Republic of Serbia, which was adopted by the EU General Affairs Council (GAC) on 17 December 2013, and subsequently approved by the European Council of 19-20 December 2013, consists of two documents: introductory remarks of the EU at the First Inter-Governmental Conference between R. Serbia and the EU, and the Negotiating Framework of Serbia's EU accession. The Negotiating Framework embodies principles, the essence and procedures of the overall negotiating process. The emphasis is laid on the conditions in which a candidate country will embrace and execute the EU acquis communautaire, divided into 35 thematic chapters. The EU expects the Republic of Serbia to ensure full implementation of the key reforms and legislation, particularly in judicial reform, the fight against corruption and organized crime, public administration reform, independence of institutions, media reform, non-discrimination and protection of minorities. Particular importance is attached to the harmonization of the dynamic of the negotiating process, i.e. a uniform progress in all areas. This particularly refers to Chapter 23 (judiciary and fundamental rights) and Chapter 24 (justice, freedom and security) where progress has to follow the dynamic of other chapters. The above-stated procedure will also apply to issues within Chapter 35. Serbian EU accession negotiations formally commenced on 21 January 2014 in Brussels by the First Inter-Governmental Conference (IGC) on Serbia's EU accession, where representatives of the EU and Serbia exchanged views, and the EU Negotiating Framework, the Negotiating Team of the Republic of Serbia and the IGC meetings calendar according to negotiating chapters were presented. An initial step preceding the opening of each of the 35 chapters is the so-called screening, i.e. scanning and analytical review of legislation in force in the Republic of Serbia in a certain area and the legislation applicable in the EU. The analytical analysis stage of legislation begins with the so-called explanatory screening within which the European Commission presents to the candidate country the EU acquis communautaire divided into negotiating chapters, while the level of conformity of the candidate country's legal system with the legal system of the EU is assessed through the so-called bilateral screening. Then, the differences between the two legal systems and measures designed to overcome them are being identified, on the basis of which an implementation Action Plan is being drafted and its timescale defined. Following the completion of the bilateral screening, the European Commission presents its Screening Report to the Member States, containing recommendations on the opening of negotiations for a certain chapter, and, possibly opening benchmarks. The screening process for Serbia began in September 2013 and was completed in late March 2015. The European Commission plans to submit all screening reports to the COELA Working Group for consideration by the end of 2015. The Republic of Serbia wants the pace of the overall negotiation process to be as fast as possible, including the dynamic of opening (and closing) of as large a number of negotiating chapters as possible, during the current and the following year. However, the dynamic of the process itself depends not only on the Republic of Serbia but primarily on the EU and its Member States. Representatives of the Ministry of Foreign Affairs take an active part in the work of governmental bodies during the EU integration process. The First Deputy Prime Minister and Minister of Foreign Affairs is a member of the Coordinating Body, tasked with discussing the major issues and coordinating within the scope of the activity of public administrative authorities throughout the European integration process. The Coordinating Body Council deals with the current issues that arise in the integration process. The Assistant Foreign Minister responsible for security policy, in the capacity as Chairperson of Negotiating Group 31, was a member of the Council on behalf of the Ministry of Foreign Affairs. The Ministry of Foreign Affairs carries out the activities concerning Negotiating Group 31- Common Foreign, Security and Defence Policy. The Ministry of Foreign Affairs also participates in the work of the following negotiating groups concerning Serbia-EU accession negotiations, as a member of: Negotiating Group 23 - judiciary and fundamental rights; Negotiating Group 24 – justice, freedom and security; Negotiating Group 30 – external economic relations; Negotiating Group 34 – for institutions and Negotiating Group 35 – for other matters. The State Secretary of the Ministry of Foreign Affairs in his official capacity is a member of the Serbian Negotiating Team, participating in the drafting of negotiating positions, and is in charge of conducting negotiations on all chapters and in all stages of negotiations. Moreover, representatives from the Permanent Mission of the Republic of Serbia to the EU, serving as the Secretary and Vice-Secretary of the Inter-Governmental Conference, play an active role in the accession process and negotiations. In order to ensure the monitoring of the implementation of the Stabilization and Association Agreement signed between the Republic of Serbia and the EU, the following bodies, in which MFA representatives participate, have been established: the Stabilization and Association Council, tasked with discussing the major issues concerning the SAA implementation, whose membership includes: the First Deputy Prime Minister and Minister of Foreign Affairs, Minister without portfolio responsible for European integration, Head of the Negotiating Team, MFA State Secretary, Assistant Foreign Minister responsible for the EU, Ambassador of the Republic of Serbia to the EU, SEIO Deputy Director, and a representative of the Permanent Mission of the Republic of Serbia to the EU as the Council Secretary; and the Stabilization and Association Committee, entrusted with the task of addressing specific issues concerning the SAA implementation, while holding, as appropriate, meetings in between the Council sessions, whose member is the MFA State Secretary as well. MFA representatives also participate in the work of the SAA Sub-Committee for justice, freedom and security.